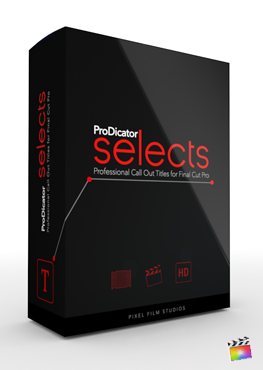 Pixel Film Studios’ ProDicator Sci-Tech is a package of motion tracked and keyframeable line indicators. Each set includes 30 futuristic styles with full customizable elements. Furthermore, ProDicator Sci-Tech features on-screen controls that allow for quick changes and for adding parallax in 3D space. ProDicator Sci-Tech adds a “neo-noir” essence to any production. Create cyberpunk inspired call outs all within Final Cut Pro X with ProDicator Sci-Tech. 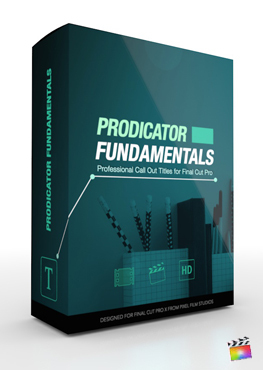 ProDicator Sci-Tech is a package of motion tracking and keyframeable tracking line indicators created for ease and flexibility. Each set’s presets include a left and right aligned design for versatility. All presets feature customizable prong lengths, colors, targets, and text. Furthermore, each preset comes with glow controls that are easily adjustable. Most of all, ProDicator Sci-Tech comes with a variety of “cyberpunk” inspired designs that results in giving any production an energetic “neo-noir” look. Final Cut Pro X users can add an extra dimension to their production with easy to use on-screen controls. On-screen controls will determine the scale, position, and Y/Z rotation of title elements with the drag of a mouse. In addition to the on-screen controls, all other published controls can be found in the inspector window on the right-hand side of the viewer. Create incredible parallax in 3D space using the on-screen or published controls. 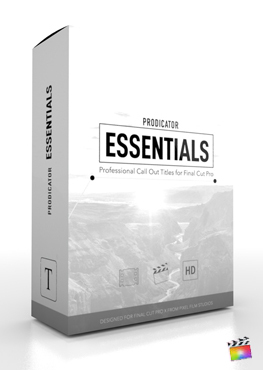 Included in the package are two sets of presets for footage flexibility and effectiveness. First off is our motion tracked presets that makes tracking easy with our built in auto motion tracker. Secondly, for harder to track scenarios, are the simple to use keyframable presets. In addition, each keyframed preset includes a helpful built in magnification tool. Most noteworthy is the on and off toggle and easily adjustable zoom amount slider control. ProDicator Sci-Tech is designed and created from the ground up for Final Cut Pro X editors and users. As a result, ProDicator Sci-Tech is exclusive to Final Cut Pro X. Furthermore, each preset has been hand-crafted in order to be used with any type of media, whether it is an image or a video. Because of this, simple and effective customization within Final Cut Pro X is a breeze. I installed ProDicator Sci-Tech and see a red screen similar to this. Where do I find ProDicator Sci-Tech? Once the installation is complete, you can find ProDicator Sci-Tech in the FCPX Titles library.